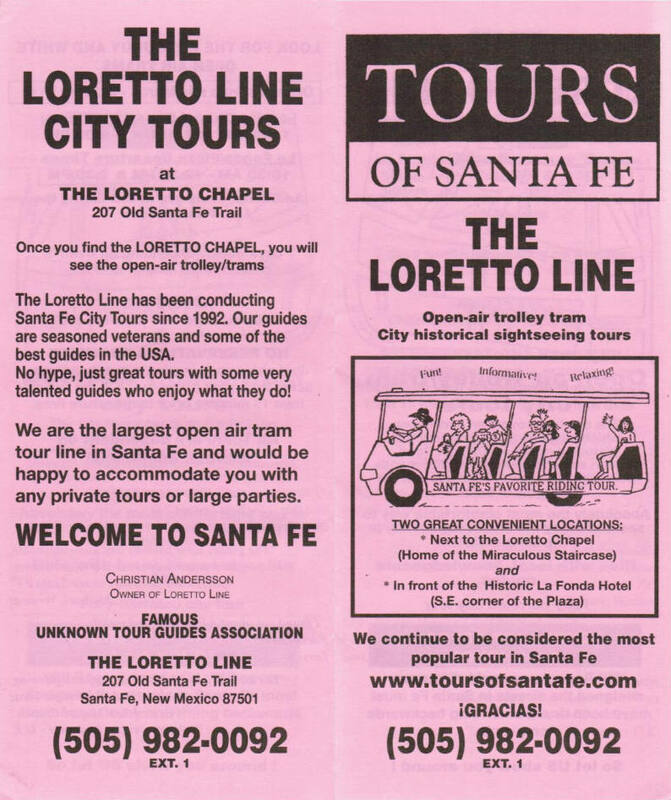 The Loretto Line has been conducting Santa Fe city tours since 1992 with some of the best guides in the USA. No hype, just great tours with some very talented guides who enjoy what they do! Open-air trolley/tram city tours. No reservations required.